When you look at the skin care selection in any store, you are usually overwhelmed by the choice. Narrowing it down to facial care does not usually help. The market is saturated with products which claim to be more magical than the ones beside it. Ask for advice, and you will get it. From everyone. How can you know which is the best product and advice for you? What if we could tell you that choosing the correct facial skin oil is simple? A breeze? Easy-peasy? Yeah, yeah, we know that you have heard it all before, but this time it is different. We are about to blow your mind with the best herbal, vegetable, and fruit oils for your face that you can find. Say goodbye to skin problems. Say hello to a radiant and glowing complexion. There are numerous oils which interact with your skin in a positive way. Many vegetable and herbal oils bring therapeutic benefits (1). Water is often lost from inside the body, working its way out through the epidermal layer (Transepidermal Water Loss). A lot of the oils we will talk about help to prevent this. Hydrated skin is healthy skin. These carrier oils are also a great source of vitamins (A, D, E, and K), fatty acids, and phospholipids. Using these oils will help to maintain the elasticity health of your skin. Why are face oils important? When you use chemical products on your face and let’s face it, most face products contain unnecessary chemicals; you are not putting your skin first. You are putting the marketing of the big companies first. Going healthy and going natural is the best thing that you can do for your skin. If you do need to cleanse your skin before switching to natural oils, check out our reviews of best facial steamers. So, what can natural oils do for you? Natural oils have been designed, by nature, to treat existing skin problems. Wave goodbye to acne, rashes, irritations, blemishes, and more. Natural oils are antibacterial, antiseptic, and anti-fungal. With so much pollution in the air, it is hard to avoid infections and skin damage. These oils have the properties to keep your skin healthy and clean (2). Natural oils heal and hydrate. Pollution is a fact, but with a thin layer of oil on our skin, our pores are protected. The oils also get to the root of the problem, diving deep to exfoliate any of your dead skin cells. The oils we are going to be talking about are carrier oils. They are the base that you will add to, to create the perfect blend for your skin. Can we go ahead and chose any oil we wish? Not quite. Not all oils are created equal. Some are great. Some, not so much. Here is our guide to the seven best oils you can use. How-To: Take a small bottle (1oz) and add 10 drops of the essential oils of your choice. Fill the remainder of the bottle with apricot kernel oil. Agitate to mix. Use a small amount on your face each day after washing. The golden hue and the nutty aroma will have you feeling like you are eating a fig in a Moroccan town. Argan oil does come from Morocco and is a wonder for damaged skin. It is especially great for more mature skin and can help to rejuvenate and add life to skin which has lived. The deeply nourishing oil will help to smooth out wrinkles, crow’s feet, and smile lines. 100% Pure USDA Certified ORGANIC Premium Moroccan Argan Oil 4oz. Orchid and Temple is MADE IN THE USA. Cold Pressed and Unrefined. For Nails, Hair, and Skin. How-To: Take a small bottle (1oz) and add 9 drops of your favorite essential oils. Top-up the bottle with Argan oil and agitate to mix. Apply the oil to your wrinkles and lines, after washing. A favorite with Millenials, the hard pit is often overlooked for its oily properties. 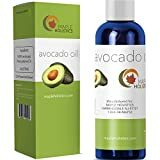 Avocado oil boasts a light-green color and a subtle scent. The oil penetrates deeply, getting straight to the skin’s problems. It is also rich in vitamin D and phytosterol (3). It remains an integral part of the Indian medical system of Ayurveda. The heaviness of the oil lends itself well to those who identify with the Dosha Vata. Avocado oil is very unobtrusive. It is a pretty flower in a large garden, blending well with the other flowers. Those with the most difficult and broken skins will benefit from the rejuvenating properties. How-To: Take a small bottle (1oz) and add 7 drops of your favorite essential oils. Fill with a mix of avocado and castor oil. Use sparingly on the problem skin areas. The color is light. The aroma is light. The results are big. Do not be fooled by this humble oil; it is one you definitely want to add to your skincare routine. 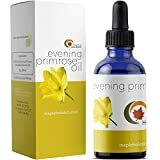 Primrose oil will revitalize skin, boost elasticity, add color, cool inflammations, and cure skin problems (4). 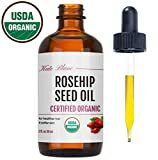 This oil is great for daily use. It is rich in fatty acids, including gamma-linolenic acid (GLA). Use daily as part of your skincare routine. How-To: Take a small bottle (1oz) and add 3 drops of your favorite essential oils. Fill up with primrose oil. Use daily after washing skin. Jojoba is a robust and long-lasting oil. It has an exciting yellow color and no odor. A great oil for oily skin and skin prone to acne and spots. It is great for unclogging and maintaining pores. This helps to balance your skin by taking care of the pH levels and soothing inflammations (5). Jojoba is also an affordable oil. How-to: Take a small bottle (1oz) and add 7 drops of your favorite essential oils. Add jojoba oil and agitate to mix. Use daily. This oil will stay fresh for up to two years. A great oil for your face. Rosehip is a luxurious oil and will make you feel pampered. The oil is fragrant and light. It is great for regenerating your skin and repairing tissue. The bioactive component, tretinoin, works wonders on scar tissue, burns, and more. The linoleic acid is also regenerative (6). The combination of the two is mind-blowing. How-To: Take a small bottle (1oz) and add 9 drops of your favorite essential oils. Top-up with Rosehip seed oil and agitate to mix. Use after washing. This is an oil which is best suited to younger skin. There has been a lot of controversy lately surrounding sunscreen. The sun can harm your skin, but sunscreen can also contain harmful chemicals. If you have been out in the sun without protection, then sea buckthorn oil can help with your skin’s recovery. This oil is great for rejuvenation, but particularly when the sun and radiation are involved (7). This oil does have a high level of beta-carotene. This makes the oil thicker and more visible. With a slight orange tint, too much oil can show on the skin. It is best used in combination with other oils. How-To: Take a small bottle (1oz) and add 5 drops of your favorite essential oils (lavender and chamomile are great for sunburns). 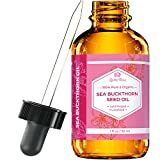 Add 3 drops of sea buckthorn oil and top-up with the carrier oil of your choice. Use after being out in the sun or when you have a sunburn. If you are using an essential or carrier oil for the first time, dot a small amount onto your skin. Wait to see if there are any adverse reactions. The inner forearm has skin similar to your face. Pregnant women should research the oil before using. Children may also have adverse reactions to certain oils. Knowledge is the key. When storing, keep in a cool place away from the sun. Also consider adding a facial massage to your skin care routine. We have talked about the Japanese Tanaka massage, but you may also want to consider investing in a facial massager. Can The Best Car Seat Massager Make A Difference in Your Life?